If you have your own business or aspire to become an entrepreneur, you probably get information about running a successful venture from a variety of resources. You may read newspapers to learn how real-world companies are succeeding (or not). You might also subscribe to magazines that discuss best practices that you can use in your own business. However, that’s just scratching the surface. If you limit your business learning to those types of publications, online or otherwise, you are only reading the same generic business advice, presented in different words. Even trade magazines are not going to provide you with the personalized information and analysis you need to help your company thrive. What you need is a mentor. Business mentors can be anyone with more business experience than you. Ideally, you want to choose people who have been successful in your industry, serving a common market, or in a similar capacity, but anyone with a history of business prowess will do. 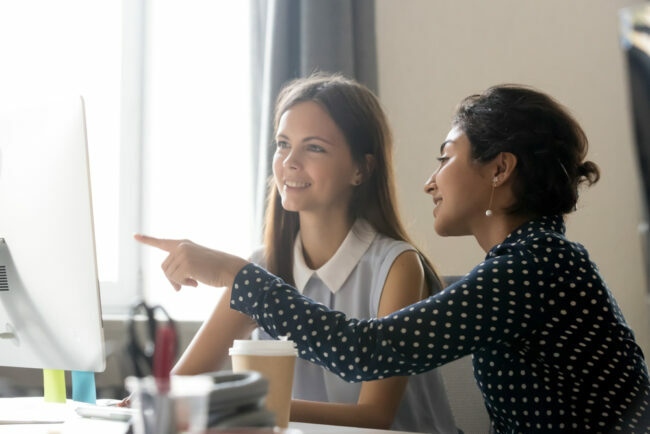 Mentors act as teachers in the ways of business, advisors that help you evaluate opportunities, and facilitators who can introduce you to the right connections. People often act as mentors as a way to pay it forward or develop their own skills as teachers or consultants. The best part is that they usually do it for free. Getting the advice of a mentor rarely costs anything. There are several types of business mentor. You may want to have different people advising you in different ways. Business mentors can be masters in their industry, as explained above. This is the most common type of mentor, but not the only one. Sometimes mentors function best as people who cheer you on and advocate for your success. They provide connections and emotional support. You might also opt to have a peer mentor. These people hold you accountable and may collaborate with you on different projects. Each of these roles is valid. One person may serve in several capacities, or each may have different purposes. Any configuration works as long as it works for you. However, finding a mentor can often be a challenge. Remember that most mentors serve in that capacity for free and the time commitment can be intense, especially if your company is just getting started or facing unique challenges. Many entrepreneurs have luck by reaching out to people in their network, but new business owners may not have a large number of connections yet. You might also reach out to your alumni network or talk to organizations that help connect small business owners with would-be mentors. SCORE is one of the most popular resources, but there are several others out there. In some cases, you can get a mentor by leveraging your work network. In direct sales, you are your own boss, but you could the opportunity to access mentorship programs. Companies like Amway encourage mentorship as part of their business model. Watch this video illustrating how Independent Business Owners can plan to make money with Amway for inspiration. Business mentorship is one of the best ways for you to learn how to be successful in your field. There are several types of business mentorship. Choose the one that fits your needs or take one of each. You can find mentors within your network as well as through community organizations. Some direct selling companies provide mentors to their salespeople too, because mentorship is valuable.